This brickwork mosaic from Structure X at Chicanna most appears to represent the Long Nosed God, commonly known as Chaac, the God of Sacred Water. 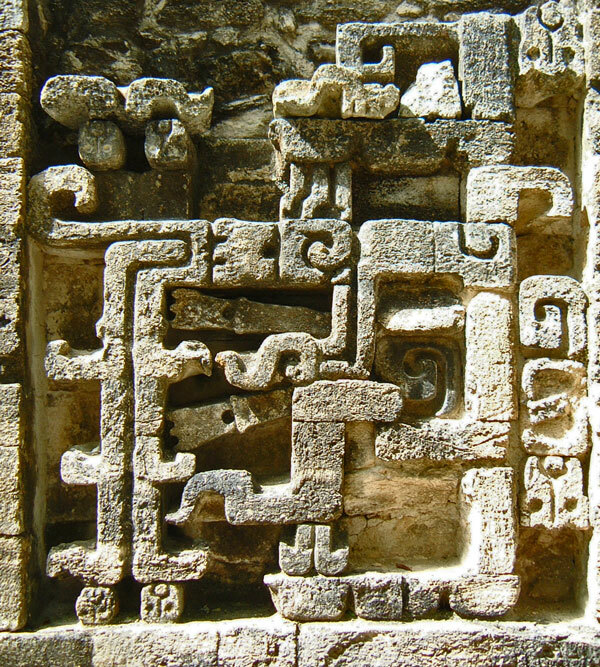 However, comparisons with Chicanna’s many other carvings suggests that it is actually a composite being constructed from multiple supernatural characteristics. See the full article on Structure X for more information.